The monthly birthday celebration at Reach Unlimited featured Reach Employee of the Month Jamaca Wilson. 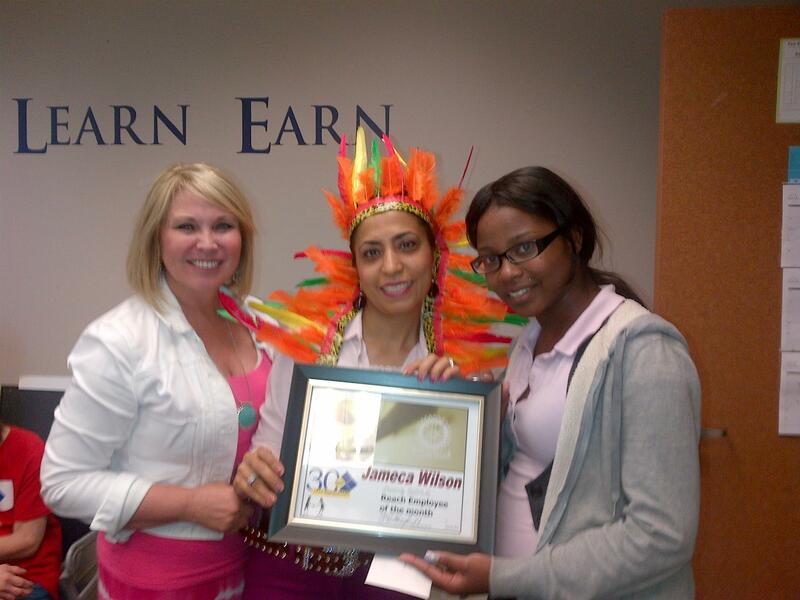 Here she is being honored by Rotarian Massy Williams (with headdress) and a Reach Staffer. Client Birthday's are celebrated at Reach by a parade of the Client Marching (strolling) Band and all birthday participants through the classroom halls while all classrooms students emerge to congratulate those with birthdays. Cookies are shared by all after the parade.